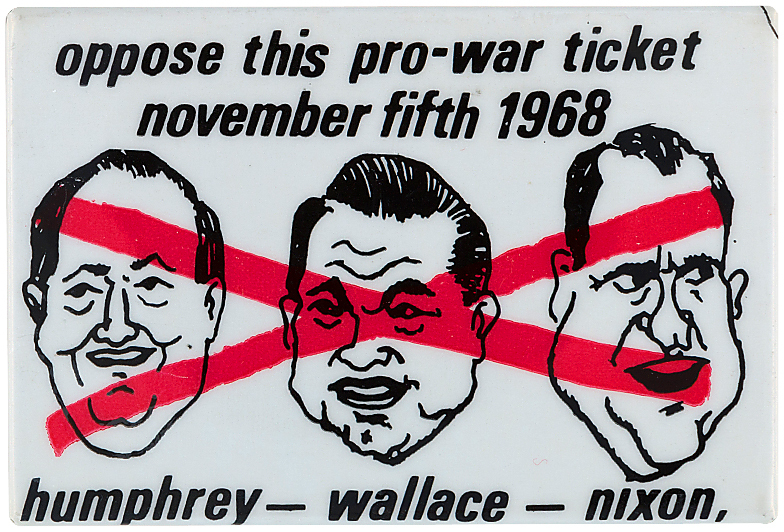 Item Detail - ANTI VIETNAM WAR BUTTON OPPOSES 1968 CANDIDATES HUMPHREY – WALLACE – NIXON. ANTI VIETNAM WAR BUTTON OPPOSES 1968 CANDIDATES HUMPHREY – WALLACE – NIXON. 2X3”. Curl text “5th Ave. Vietnam Peace Parade Committee.” From the Marshall Levin Collection. Essentially Mint.